Self Catering Holiday Accommodation Websites! Sykes Cottages have a fantastic selection of handpicked holiday cottages in Kent for you to choose from. Our cottages are ideally located for exploring the Garden of England with properties to suit every need, making them the perfect choice for your self catering cottage break. 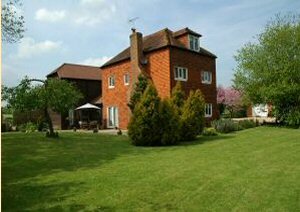 If you are looking for cottages in Kent BookCottages.com offer a fantastic range of accommodation, to suit all requirements.wich can be booked online. At holidaycottages.co.uk we have been letting holiday cottages for over 25 years and with a growing collection of properties, we now cover all corners of the UK including Kent. With such a wide selection, we are able to cater for all requirements which means you can find a holiday to remember. Each property is visited and assessed regularly by a member of our property team to ensure the highest of standards https://www.holidaycottages.co.uk/kent . Bramley & Teal have been professionally letting cottages on the south coast for over seven years, and helping thousands of visitors enjoy the beautiful areas Kent and Sussex have to offer. 18 century farmhouse close to the village in a rural setting. Tudor Cottage is a delightful bed and breakfast situated in the heart of Biddenden village, within walking distance of the Westhouse and other restaurants. We offer a perfect location from which to visit the various local castles,historic homes and splendid gardens in the area. A very warm and friendly welcome is guaranteed at our family run business, providing comfortable old-world accommodation and an excellent base from which to explore the beautiful kent countryside.